A mossy fungus could be used to make nutritional food products after an apocalypse, or on Mars, according to research by designer Julia Schwarz. 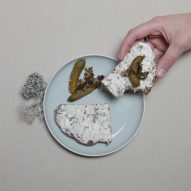 In her project Unseen Edible, Schwarz – a recent graduate from the University of Applied Arts in Vienna – has developed a range of food products made from lichen, a hardy fungus-like species that grows on plants, tree bark and rocks. 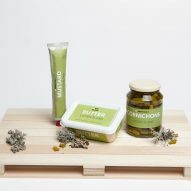 People were invited to sample these products, from bread and butter, to pesto and pasta, during the recent Vienna Design Week. 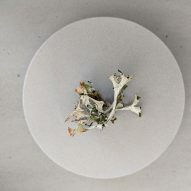 According to the designer, lichens could offer a source of nutrition in a potential future food shortage, as they are easy to grow, even in harsh climates and environments. 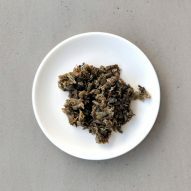 "Next to algae and insects, which are already receiving a great deal of attention, lichens posses a great deal of potential as a source of nutrition in the future," said Schwarz. 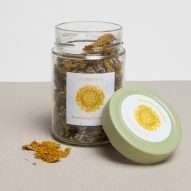 "Extremely hardy, they can be termed a superfood," she explained. "They could even grow on Mars!" There are at least 20,000 different species of lichen, and they grow across an estimated six per cent of the earth's surface. They are one of the oldest living organisms on the planet, able to survive on almost any surface and endure extreme conditions. Schwarz discovered through her research that the substance has been used across history – particularly in times of famine – as a source of food. It also has medicinal properties that can be harnessed. She believes it could play an important role in the anticipated global food crisis. 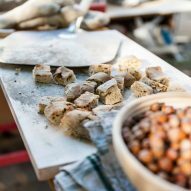 "Researchers predict a coming food shortage caused by overpopulation and extreme climate," she said. 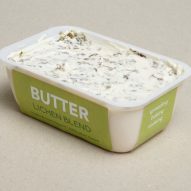 "Having a closer look at what people ate in famine times or for survival, lichen showed up several times. Starving people weren't dying anymore and they didn't have even deficiency symptoms," she continued. "Lichens are still confused with moss. 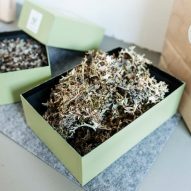 But there is a huge difference – while moss has nearly zero nutritional value, lichen has super powers. It is even effective when used as a medication." 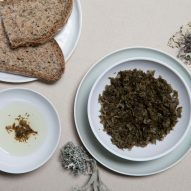 Schwarz presented her range of lichen-blend products at Vienna Design Week 2018, which took place from 28 September to 7 October. 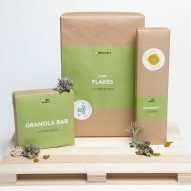 These included mustard, cornflakes and granola bars, as well as "lichen bits" for use in cooking. 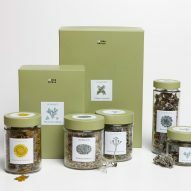 She designed packaging for everything, including colourful stickers that reveal the type of lichen used. 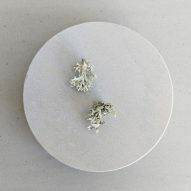 The designer has also produced a film imagining a time when lichen is part of daily food supply. For this, she designed tools that would be used to harvest it. 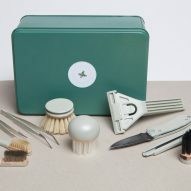 Schwarz is one of many designers investigating what people will eat when food is in short supply. 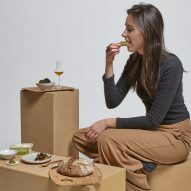 Space10 recently unveiled designs for burgers and hotdogs made from mealworms and algae, while a further 10 sustainable foods of the future were on show at last year's Dutch Design Week.